At Barefoot Resort Dye Course, Pete Dye set out to create something that would linger in the golfer’s mind forever. Home to the world famous “Monday After the Masters” golf event hosted by Hootie and the Blowfish, this course has had it share of top-class events and exposure. The Mike & Mike ESPN radio show broadcasts live from the courses every April. 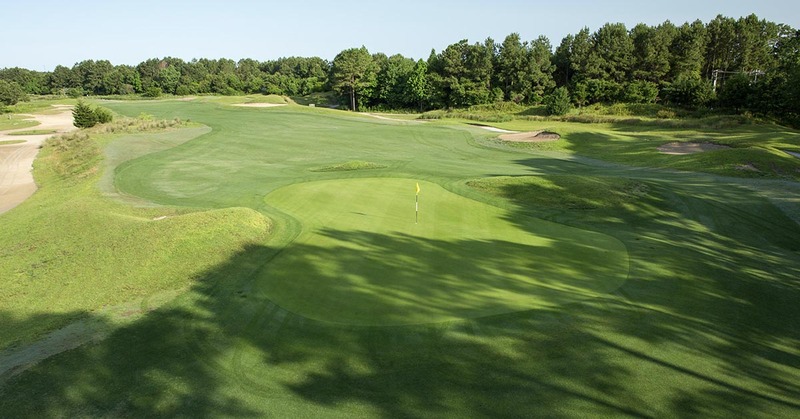 Numerous professional and amateur tours have hosted events at this tournament caliber course. The new Champion Bermuda greens installed in July of 2012, have been a huge success and valuable upgrade to what was already a great course. 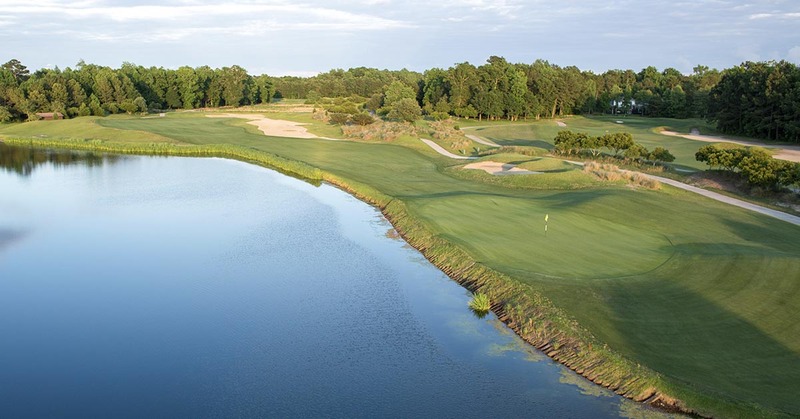 Bordering the natural white sands of the Carolina Bays, this course is a visually stunning jewel of golf community design. It is filled with the infamous pitfalls for wayward shots that have become synonymous with the Dye name. Both beautiful and treacherous, the Barefoot Resort Dye Course is an experience you won’t soon forget. 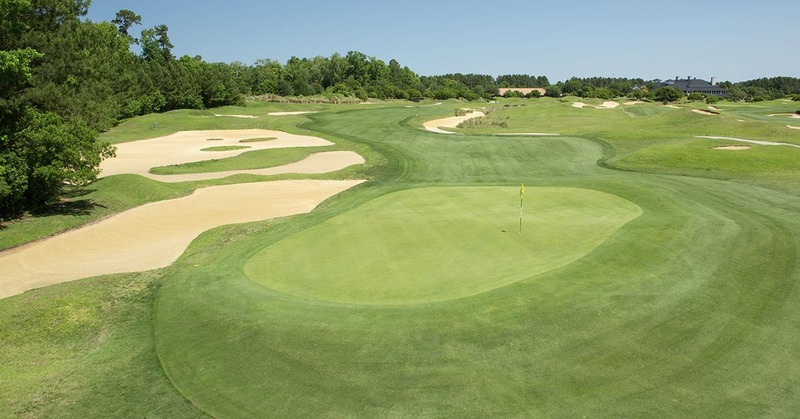 The Dye Course is the only semi-private facility at Barefoot Resort. In this North Myrtle Beach course Pete does his thing. He does this through his use of native grasses as well as for building memorable and challenging green complexes. By playing from the appropriate set of tees, however, players of all abilities will be able to navigate the Barefoot Resort Dye Course. The course is a Par 72, 7,343-yard layout within a gated community. 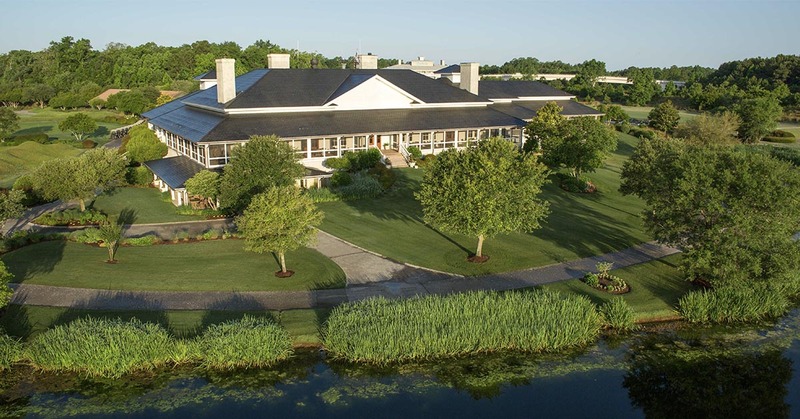 You will feel like you are a member to this exclusive club, from the moment you set step onto the bag drop area, until your clubs are loaded into your vehicle by the outstanding outside staff of the course.